During my Cornish holiday, I was honoured to be present for the most special of special first birthdays, namely that of a gorgeous little giggler called Charlotte. There was a time, not many months ago, when Charlotte’s future looked bleak, to the extent that we couldn’t be absolutely certain that a birthday would be something she’d experience. Happily – nay, ecstatically – I write to celebrate the fact that she now has a birthday under her little belt and is looking forward to the next. Charlotte’s fabulous mother, Alice, joined us in Cornwall having completed The Great North Run with Auntie Amy last weekend, to raise money for Children’s Liver Disease Foundation, which has supported the family over the past year. 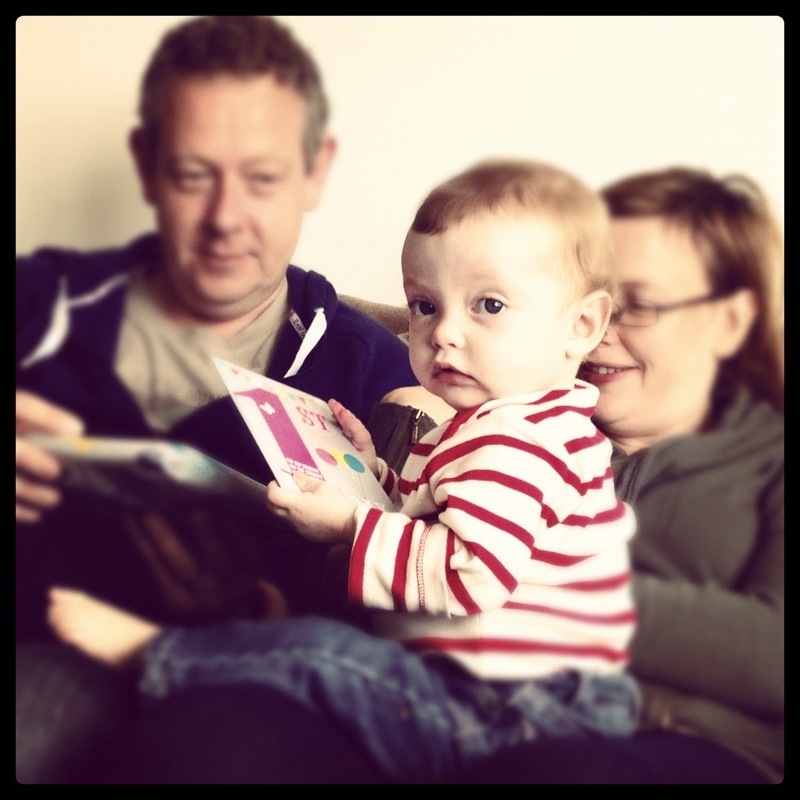 Should you wish to read more about Charlotte’s experiences or – better still – make a donation, please click here for Alice’s Just Giving page. 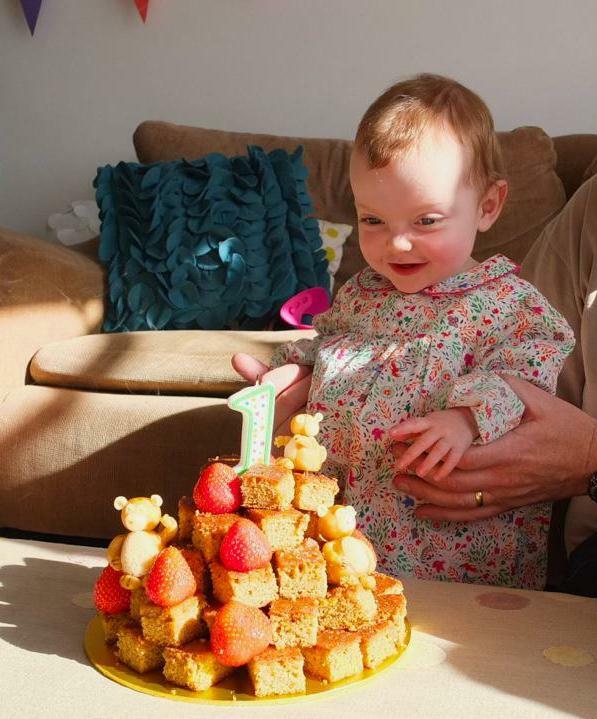 Though one year isn’t quite enough time for a tiddler to work out exactly what birthdays are all about, it was easy for Charlotte to conclude that her Lemon Cake Pyramid of Joy (with handmade marzipan monkeys, no less) was nothing short of BRILLIANT. I told you Angharad was a baking genius. This entry was posted in Events and tagged Charlotte, Children's Liver Disease Foundation, Great North Run, King's College Hospital, NHS by wordspicturesandcake. Bookmark the permalink.